Mums deserve a good time and some pampering away from the home. So help families make her day special with Easil's custom designed Mother's day poster templates. 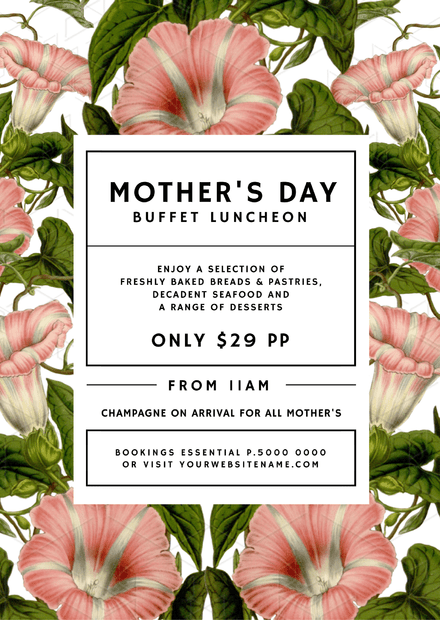 These are templates which you can personalize with text and images that reflect Mother's day and your brand. So go on and make mum's day and show them how much they mean to you and your brand.